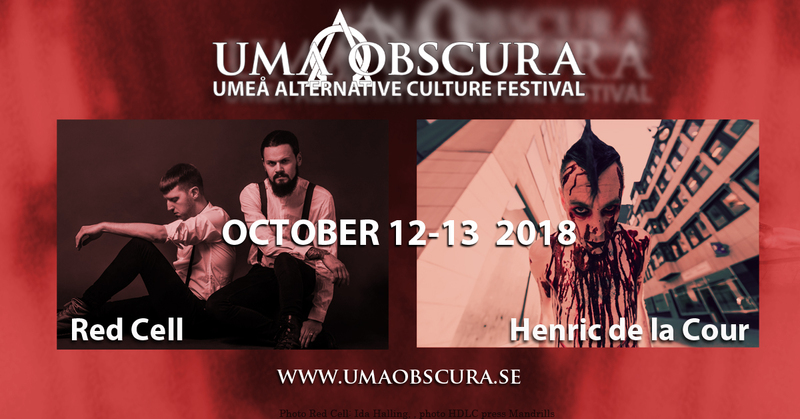 We are happy to announce Henric de la Cour and Red Cell to the autumn lineup of Uma Obscura. It surely matches a blood red theme. Read more in the program section. UPDATE OCT 2018: PLEASE NOTE THAT HENRIC DE LA COUR HAS CANCELLED THE GIG DUE TO ILLNESS.